Thanks once again to iTunes, we now have the brief, three-page preview for the upcoming Transformers: More than Meets the Eye #52! “Transformers: More Than Meets the Eye #52 Megatron vs. Tarn Trapped on an isolated world, knowing escape means the death of dozens of innocent organics, and betrayed by their crew mates- Radius, Megatron, and their friends prepare to make their last stand against the Deception Justice Division.” The full issue will be released on April 27th, but for now you can get a short sampling of it after the break (but beware of spoilers)! The post Transformers: More than Meets the Eye #52 iTunes Preview appeared first on Transformer World 2005 - TFW2005.COM. As we speak, the British Board Of Film Classification is rating the Season 1 of Transformers: Robots In Disguise for a possible UK Home Release. Majority of the episodes are rated PG and are passed uncut to the United Kingdom Audience. The video aspect ratio is listed as Widescreen. Distribution of the Home Release is handled by the popular Branding and Distribution company (and appropriately named for a Transformers release) Primal Screen Entertainment limited. Back in last August, we reported the Season 1 Home Release for Australia. Check back to TFW for more news! 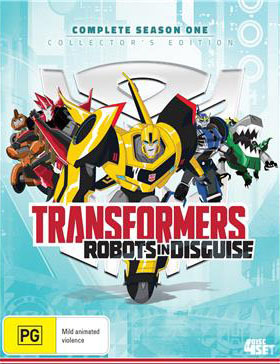 The post Possible UK Home Release Of Transformers: Robots In Disguise Season 1 appeared first on Transformer World 2005 - TFW2005.COM. Thanks to ComicsAlliance, we now have the full preview for Transformers vs. G.I. 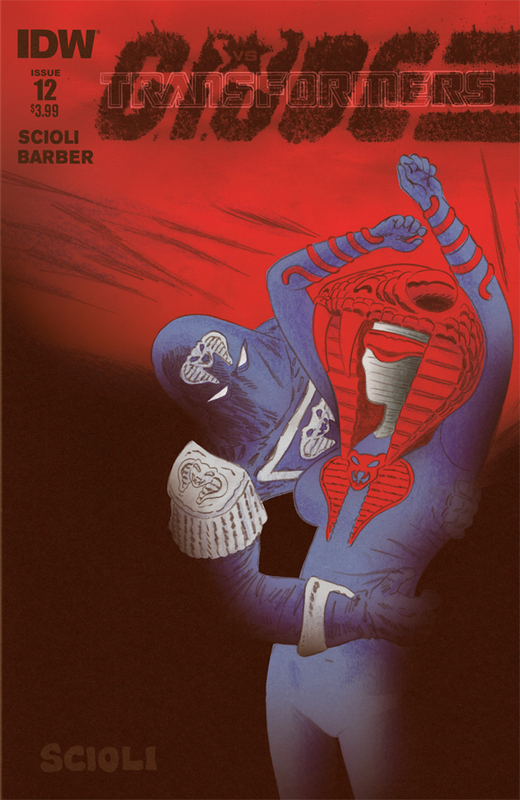 Joe #12 – the penultimate issue of the series. “Transformers vs G.I. JOE #12 WELCOME TO THE TERROR DROME! As the forces of COBRA plot a treacherous move, OPTIMUS PRIME descends in to CYBERTRONIAN hell in search of the MATRIX. They say the sun also rises… but will it be friend or foe? !” The full issue will be out next Wednesday, April 20th, but for now you can get a taste of what kind of wackiness awaits after the jump if you don’t care about spoilers! The post Transformers vs. G.I. Joe #12 Full Preview appeared first on Transformer World 2005 - TFW2005.COM. Thanks to boards member BenjaminXavier, we have some listings from Entertainment Earth that have the first assortment numbers for Titans Return Legends Class cases! Currently the listing is unavailable, but according to the info wave 1 of the upcoming Legends assortment will be comprised of the following: x2 Autobot Stripes x3 Autobot Rewind x3 Autobot Wheelie So from the looks of things, collectors will have ample opportunity to grab their favorite figures. The listing also gives an ETA of June, which means we haven’t much longer before these little Autobots start popping up online and in stores. Join the discussion » Continue Reading. The post Titans Return Legends Class Wave 1 Case Assortments appeared first on Transformer World 2005 - TFW2005.COM. 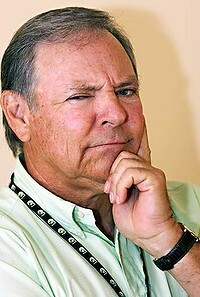 Frank Welker the legendary voice of Megatron and many other Transformers is to receive the Lifetime Achievement Award during the 43rd Annual Daytime Creative Arts Emmy Awards. The official Press Release states: “Every child in America has grown up listening to Frank Welker bring the adventures of Freddy Jones and Scooby-Doo to life,” said Bob Mauro, President, NATAS. “Frank is an audible magician. He has made an indelible mark on the hearts and minds of us all with his ability to bring these and so many other characters into our lives and make them real. It is with great pleasure that the National » Continue Reading. The post Frank Welker To Receive Lifetime Achievement Award At The 43rd Annual Daytime Creative Arts Emmy Awards appeared first on Transformer World 2005 - TFW2005.COM. 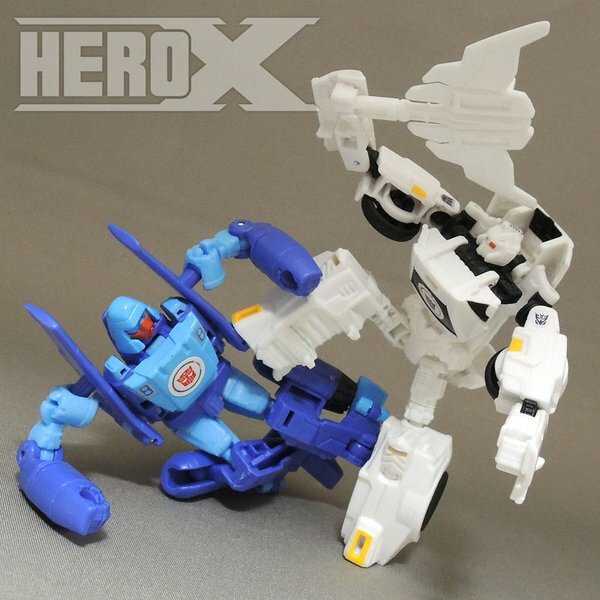 Thanks to HeroX on Twitter, we have some new in hand images of the Transformers Adventure Dogfight And Runamuck set! This set, the mail-in exclusive for Million Publishing’s Generations 2015 book, are some nice, sharp redecos of Combiner Wars Viper and Transformers Adventure Runabout. Check out the new images attached to this post. The post Million Publishing Transformers Adventure Dogfight vs Runamuck Set appeared first on Transformer World 2005 - TFW2005.COM. The following news should be treated as a rumor, as it has not been confirmed by Paramount. The Wrap is reporting that fourteen-year old actress Isabela Moner is being considered as the lead female role in Transformers 5. Moner has acted in a few different shows, including “Dora and Friends: Into the City!” and “100 Things to Do Before High School.” As for what role she will be playing, the description could be considered a spoiler if the rumor turns out to be true. However, it is only a rumor and should be taken with a grain of salt. Named as Izabella the characters is » Continue Reading. The post Transformers 5 Lead Female Details Revealed appeared first on Transformer World 2005 - TFW2005.COM. 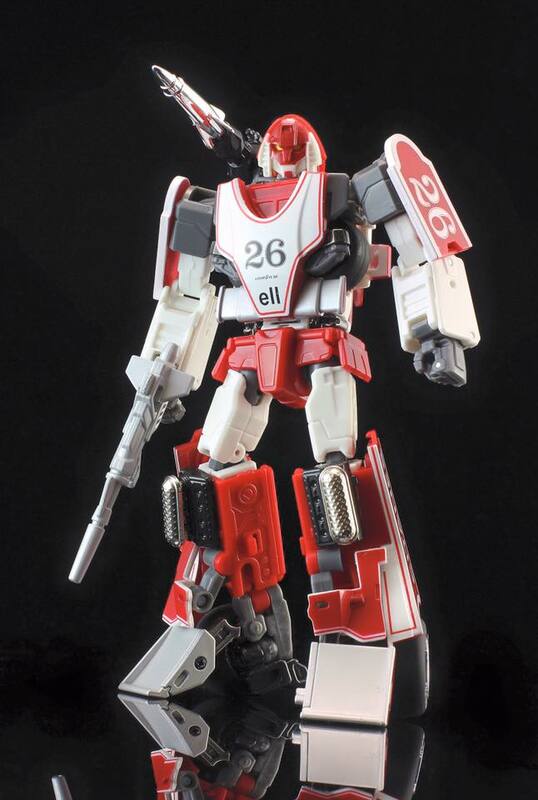 Via Czech site Pompo.cz, we are able to share some new official images of the Robots in Disguise Sideswipe with Windstrike Mini-Con Weaponizer Battle Pack. This set features an alpine white version of Sideswipe previously included in a VS pack with Anvil. Anvil has been usurped in this set by Windstrike, a vaguely feminine looking Mini-Con who transforms into a sword weapon. 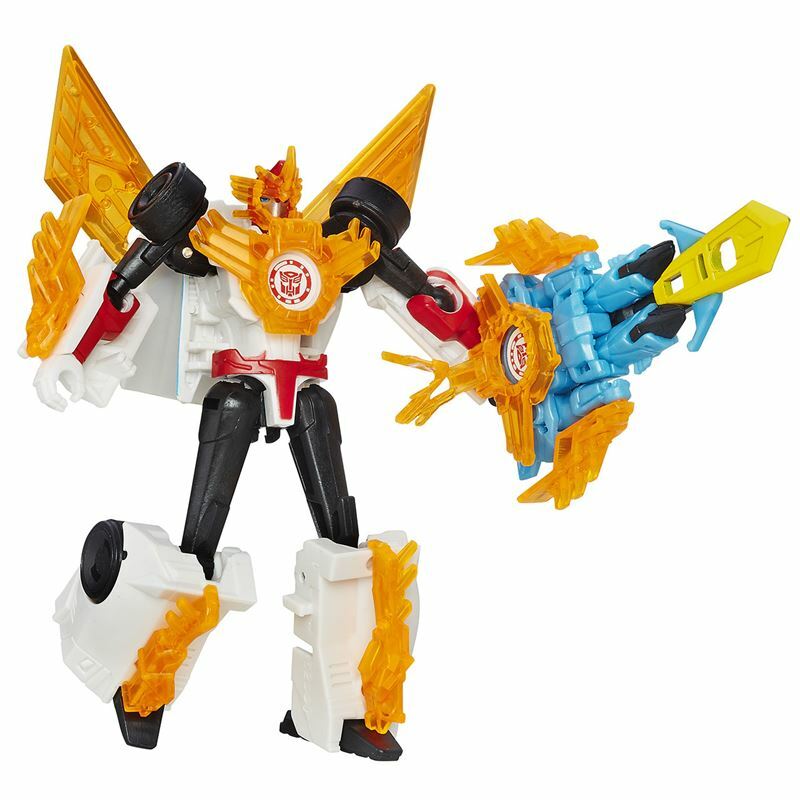 As with other Mini-Con Battle Packs, Sideswipe has optional snap-on armor, which can also attach to Windstrike to power up her weapon mode into a super-huge sword! We’ve also got a new official image of » Continue Reading. The post Robots in Disguise Mini-Con Battle Pack Sideswipe with Windstrike New Official Images appeared first on Transformer World 2005 - TFW2005.COM. While Botcon weekend was all about the latest and greatest to be coming from Hasbro, the third parties were hardly silent. We’ve rounded up some notable third party info and updates – check out the full low-down after the break. First up, there was a contest on Weibo hosted by Generation Toy that allowed thirty lucky people to score one of thirty copies of a completely clear version of GT-01A Scraper. This Ghost Scraper is a nod to the ill fate that found its way to the Constructicon leader, Scrapper in IDW’s Transformers comics. This piece looks rather spiffy and » Continue Reading. The post Post Botcon Third Party News Round Up appeared first on Transformer World 2005 - TFW2005.COM. Back in February we announced that Transformers 5 Principal Photography will take place this June in Detroit and London. Today, Acting Auditions, a popular Casting Call website is revealing the exact schedule for the movie. Filming of E75 (Transformers 5 Project Codename) will begin June 15th, 2016 in Detroit, Michigan (most likely at the previously stated Michigan Motion Picture Studio). Principal Photography will later move to London where it will conclude on October 15th, 2016 for the movie release on June 23rd, 2017. Paramount Pictures (a Viacom company) and Amblin Entertainment (of producer Steven Spielberg) returns to » Continue Reading. The post Transformers 5 Principal Photography Schedule And Crew Revealed appeared first on Transformer World 2005 - TFW2005.COM. Thanks once again to TFW’s own D-Drive we have the Diamond Comics shipping list for next Wednesday, April 20th. Check out what’s due for release below! TRANSFORMERS #52 (also shipping art appreciation and 1-in-10 variants) (W) John Barber (A) Livio Ramondelli (CA) Andrew Griffith ALL HAIL OPTIMUS part 3! OPTIMUS PRIME has declared the Earth to be his territory… but even he can’t go it alone. Now he reaches out across the galaxy to form a coalition-of old friends and older enemies. TRANSFORMERS VS GI JOE #12 (also shipping subscription cover) (W) John Barber, Tom Scioli (A/CA) Tom Scioli WELCOME » Continue Reading. The post Diamond Comics Shipping List for April 20th appeared first on Transformer World 2005 - TFW2005.COM. TFcon is very pleased to welcome back Alex Milne[/URL] to the TFcon Toronto[/URL] guest list this year. 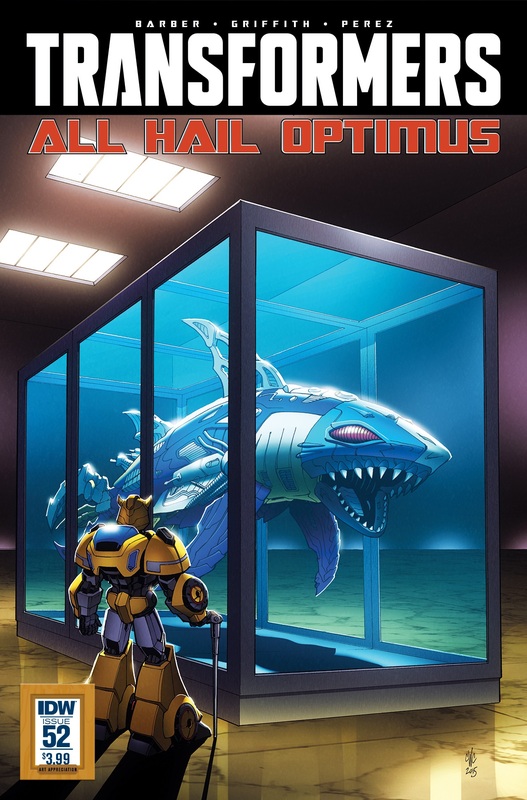 Alex is the primary artist for IDW’s ongoing Transformers: More than Meets the Eye comic book. He will be attending both days and offering prints and commissions to attendees all weekend long. Advance tickets for TFcon Toronto 2016 are now on sale. You can reserve your chance to meet Frank Welker at this time. Mr. Welker will be doing 2 meet and greets on the Saturday of TFcon, exact times are TBA, but each session will be limited to 125 » Continue Reading. The post Transformers Artist Alex Milne to attend TFcon Toronto 2016 appeared first on Transformer World 2005 - TFW2005.COM. Unicron.com have shared some cool artwork by artist Marcelo Matere. The artwork is the original lineart for the packaging and collector cards for a selection of toys in the Combiner Wars and Titans Return lines. The artwork runs the gamut from Leader class Megatron and Powermaster Optimus Prime, to Titans Return Hardhead and a very cool piece depicted Alpha Trion. Interestingly there is also a piece which is said to be Alpha Trion’s spaceship mode, although the design has a closer resemblance to the Space Battleship Yamato from the anime of the same name than Alpha Trion’s own vehicle » Continue Reading. The post Marcelo Matere Combiner Wars & Titans Return Package / Collector Card Lineart appeared first on Transformer World 2005 - TFW2005.COM. Zap2it have updated their episode guide for Transformers Rescue Bots with a summary of season 4 episode 6. Titled Vanishing Returns, it deals with a group of investors wanting to build a resort on Griffin Rock – something that the Rescue Bots have a few objections to! According to Zap2it, this episode is set to air on 21 May 2016. Check out the full summary below: Transformers Rescue Bots Season 4 Episode 6 Vanishing Returns The Bots deal with a group of investors who want to build a vacation resort in Griffin Rock, while Cody deals with feeling invisible » Continue Reading. The post Rescue Bots Season 4 Vanishing Returns Summary appeared first on Transformer World 2005 - TFW2005.COM. 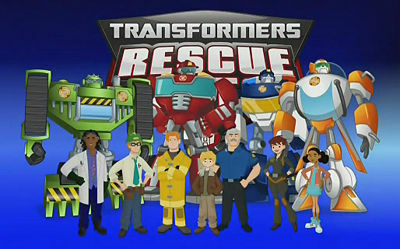 Here’s an interesting nugget of news for Rescue Bots fans. 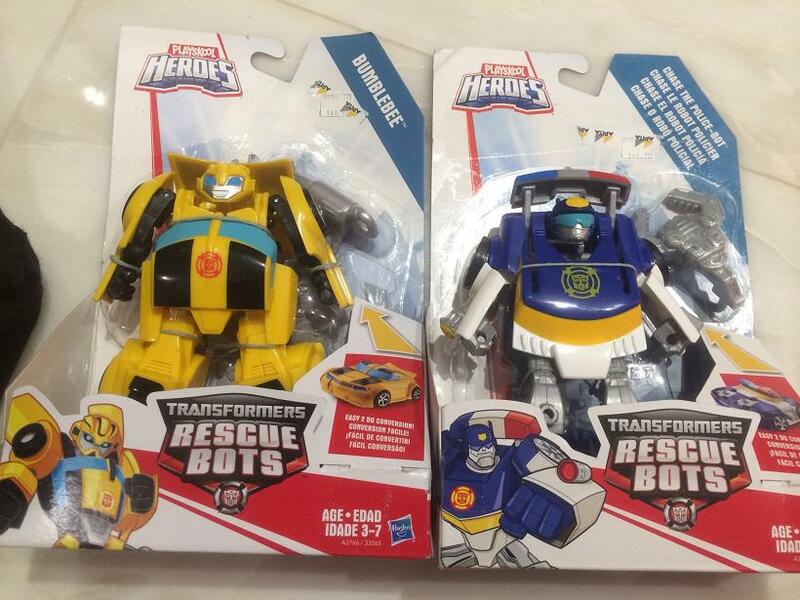 It seems the Energize series of figures are getting redecoed and released in the current Rescue Bots packaging. We’ve got a report from TFW2005 member Kaiser that Chase, Bumblebee, and Heatwave (not pictured) are now available in Hong Kong. In addition to the new packaging, the two we have images of have dispensed with the clear blue plastic of the previous Energize versions of the toys. The accessories are still present, but are now done in solid grey plastic. The post Rescue Bots Energize Bumblebee, Chase, and Heatwave Redecos appeared first on Transformer World 2005 - TFW2005.COM. AKA, the music of your Saturday morning cartoons is getting a release soon! Allspark member DM has been in touch with the composer of the original Generation 1 Transformers score, Robert J Walsh, and brings some excellent news – Sony Records are finally releasing the score to a slew of Sunbow cartoons, including Transformers, G.I. Joe, Jem and the Holograms, and My Little Pony. Fans have waited a long time to add the score of the original Transformers to their collections, and after a decade of legal wranglings and speculation, it looks as though Summer 2016 is finally the date » Continue Reading. The post Sony Records to release the original Generation 1 Transformers score appeared first on Transformer World 2005 - TFW2005.COM. Thanks to boards member griffin-of-oz, we have one last bit of news from Botcon 2016 to share. On Saturday, the San Diego Comic Con Autobot Heroes boxset was revealed and on display with the individual figures in robot mode; however on Sunday they were transformed and displayed in their vehicle modes. The boxset includes Voyager Sentinel Prime and Deluxes Windblade and Brainstorm and each are displayed in their jet/shuttle modes. Unfortunately, we couldn’t get a glimpse of Sentinel Prime’s train mode, but with Astrotrain on the scene, it isn’t outside the realm of imagination. Check out the pics after the » Continue Reading. The post Botcon 2016 SDCC Autobot Heroes Boxset – Vehicle Mode Images appeared first on Transformer World 2005 - TFW2005.COM. Jose Lopez, the Art Director of Transformers: Prime and Transformers: Robots In Disguise is sharing an interesting piece of concept art from the new show. 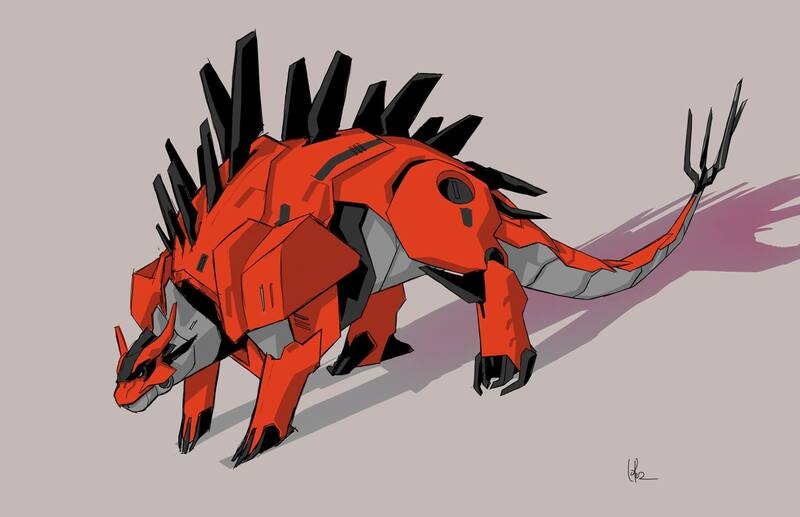 He’s red, he’s a Stegosaurus…. please welcome: Grimlock. (wait! what!?!) Mr. Lopez stated: “Some concept work from Transformers Robots in Disguise. Before Grimlock was Green or Grimlock. ‪#‎Transformers‬“ It seems as though the art department of RID were experimenting with some cool new ideas. This may even explain why the very first description of the show never referred Grimlock as Grimlock but rather as “a Dinobot”. Grimlock may be a Tyrannosaurus now, but things » Continue Reading. 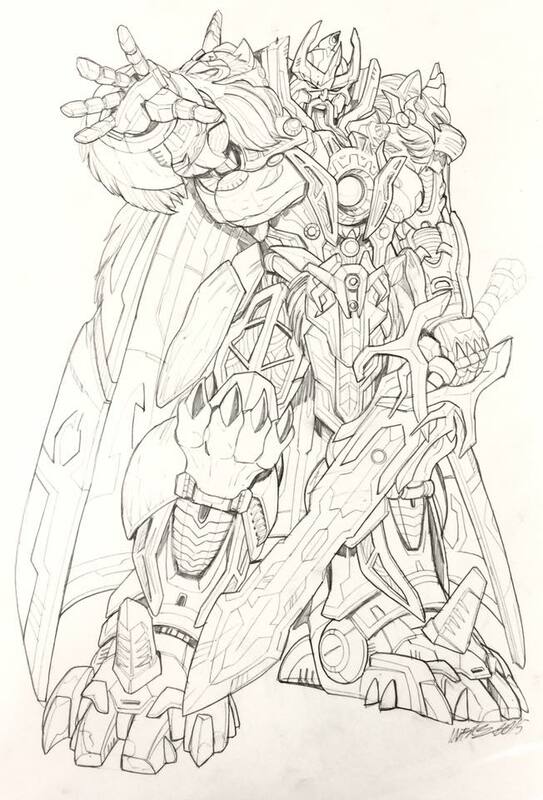 The post Transformers: Robots In Disguise Grimlock Concept Art appeared first on Transformer World 2005 - TFW2005.COM. TFW2005 friend and sponsor TFsource is back from BotCon with some SourceNews! MP-29 Shockwave, Liger, Arkose, TW Shovel and Concrete & More! NEW HOT IN STOCK ITEMS: – MP-29 Masterpiece Shockwave – Xtransbots – MX-I Apollyon – 2nd Production Run – Ocular Max – Perfection Series – PS-01A Sphinx Alternative – War in Pocket – X07 X-12 Hulkie – Set of 6 Figures – Reformatted – R-13 – Spartan – Perfect Effect – <a href="http://news.tfw2005.com/2016/04/11/tfsource-sourcenews-april-11-2016-313968">» Continue Reading. 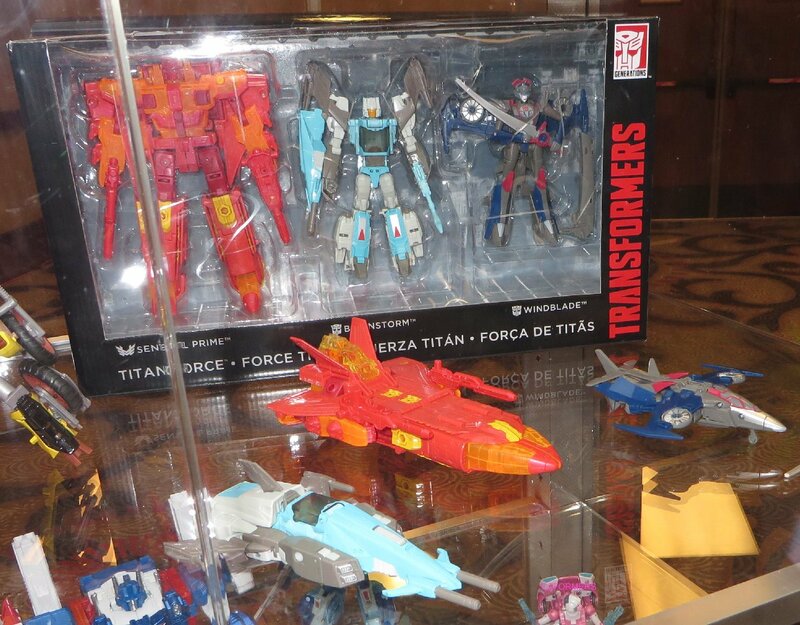 The post TFsource SourceNews for April 11, 2016 appeared first on Transformer World 2005 - TFW2005.COM. As you command, Megatron! 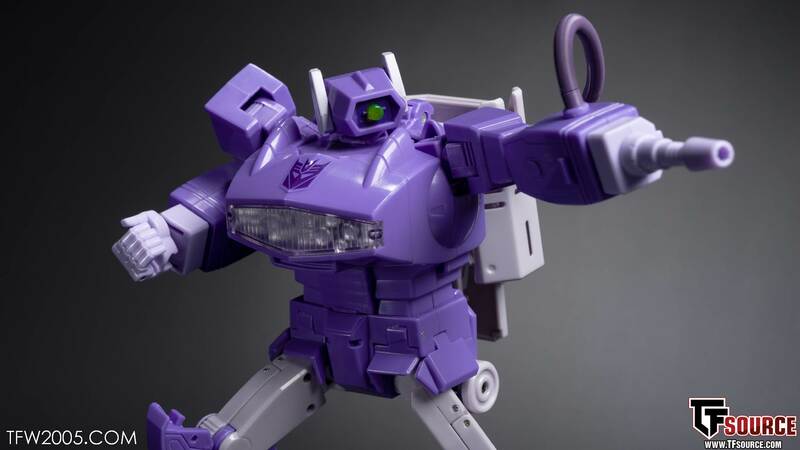 MP-29 Shockwave is hitting doorsteps now and we’ve run our copy through the motions in another TFW2005 gallery. Shockwave features a cartoon inspired color scheme, a very light purple compared with Shockwave toys past. 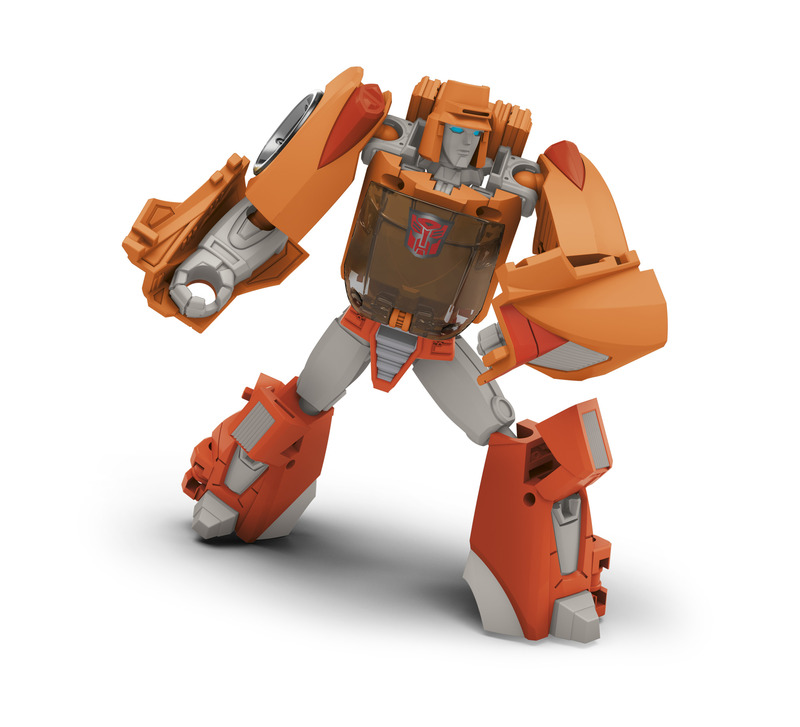 He comes with swappable hands in clear and gray (and even has a left hand if you so choose), a hand-held blaster that’s a replica of himself, Decepticon logo stickers in classic or modern style, and features lights in all the right places. The Guardian of Cybertron is a fun toy with some unique leg transformation to get rid of those skinny » Continue Reading. The post MP-29 Destron Laserwave (Shockwave) In-Hand Gallery appeared first on Transformer World 2005 - TFW2005.COM.